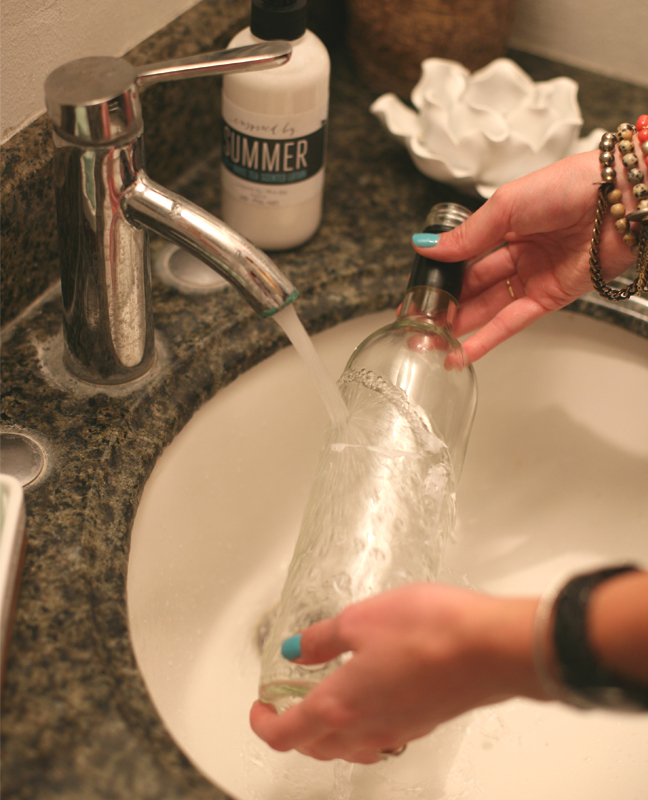 Wine bottles tend to be so expensive that it seems silly to throw them away! 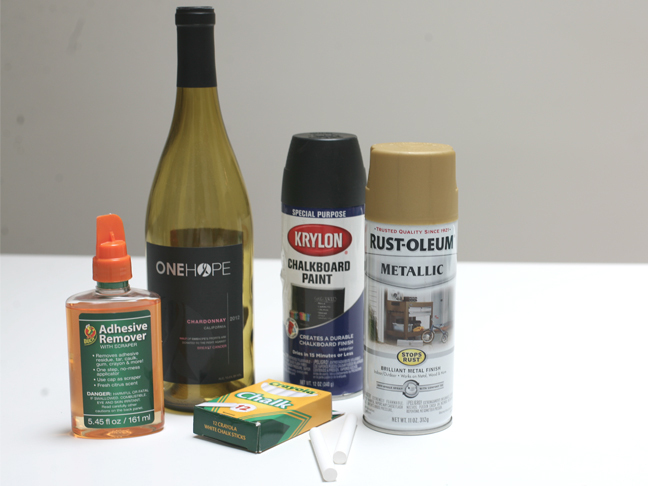 By removing the label with a product like Goo Gone or warm soapy water, you create a blank canvas that can easily be transformed with a coat of spray paint. 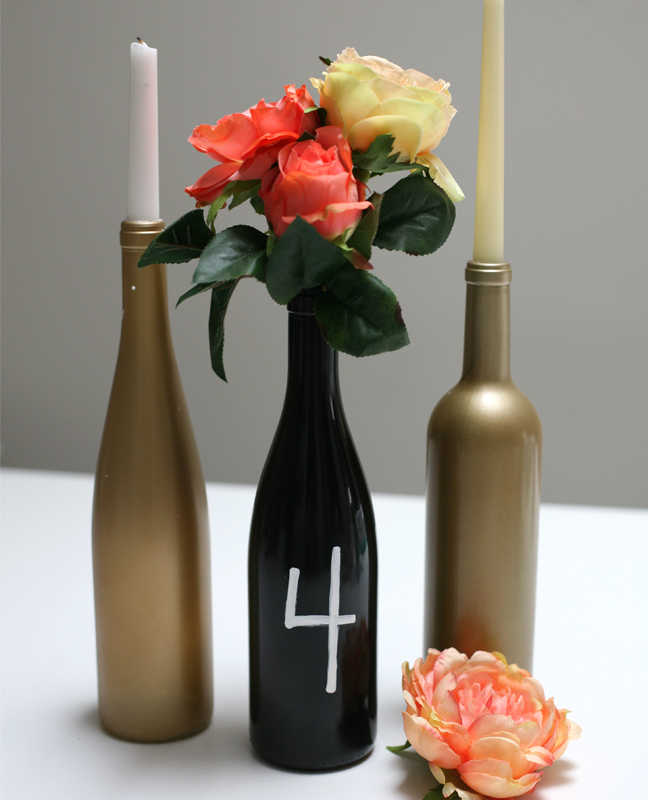 I used gold and chalkboard spray paint to create a series of unique table number displays, vases, and candle holders. 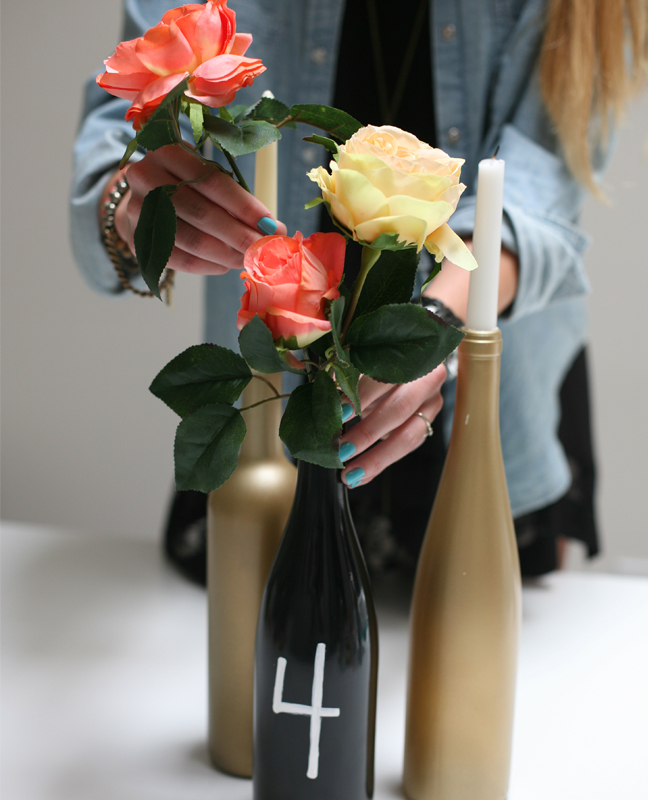 This easy DIY will transform trash into treasure—just watch as your guests ooh and ahh at this wine bottle centerpiece! 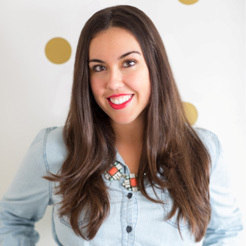 Spray paint – I used chalkboard in order to be able to write the table numbers in gold because it’s my favorite color, of course. 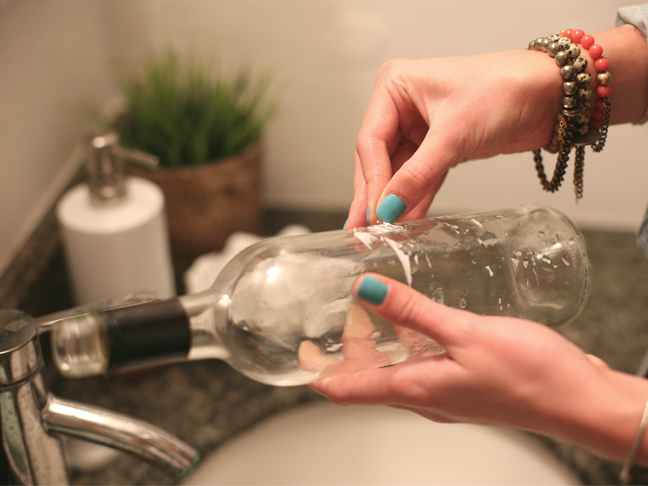 Step 1: First you have to rid the wine bottles of labels by soaking them in water for approximately 30 minutes. This can be the most frustrating part, but with a little adhesive remover and some nails the label should come off easier. 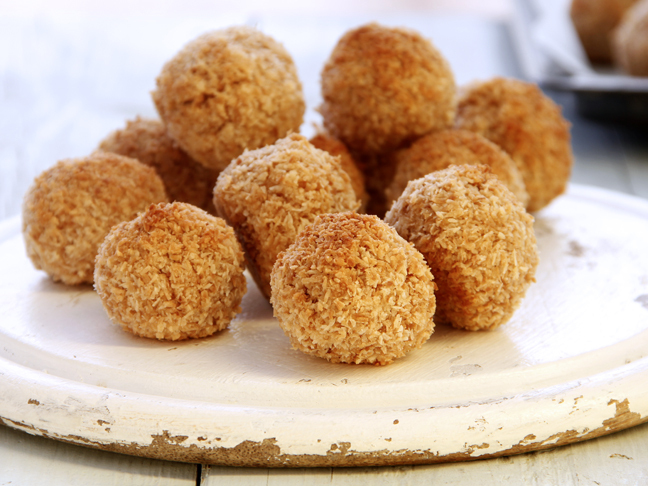 Make sure all the gooey-ness is gone from the bottle. Rinse and let dry. 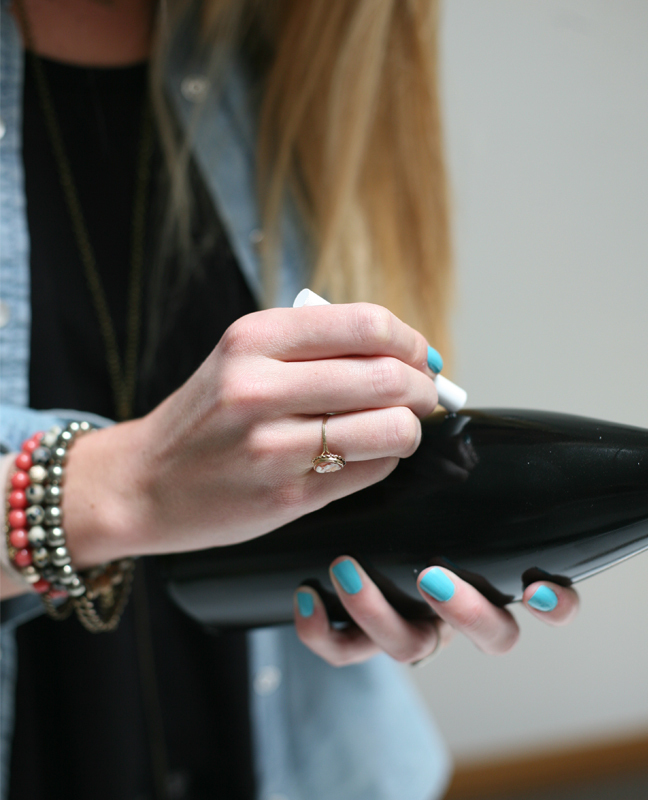 Step 2: Next, you get to spray paint the bottles! 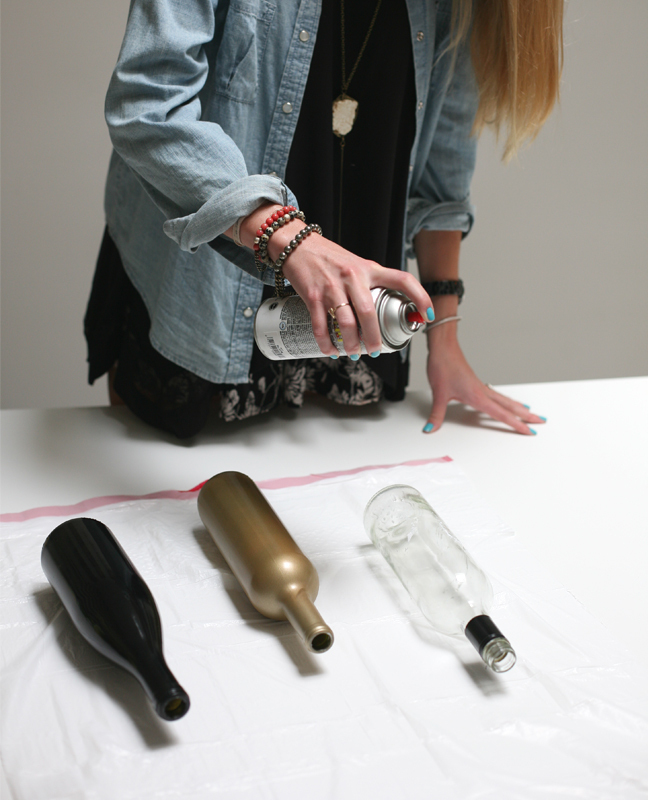 With your chosen spray paint, coat the bottle in three even layers of paint, or until the color is solid, letting the bottle dry for a few minutes in between each coat to avoid dripping. 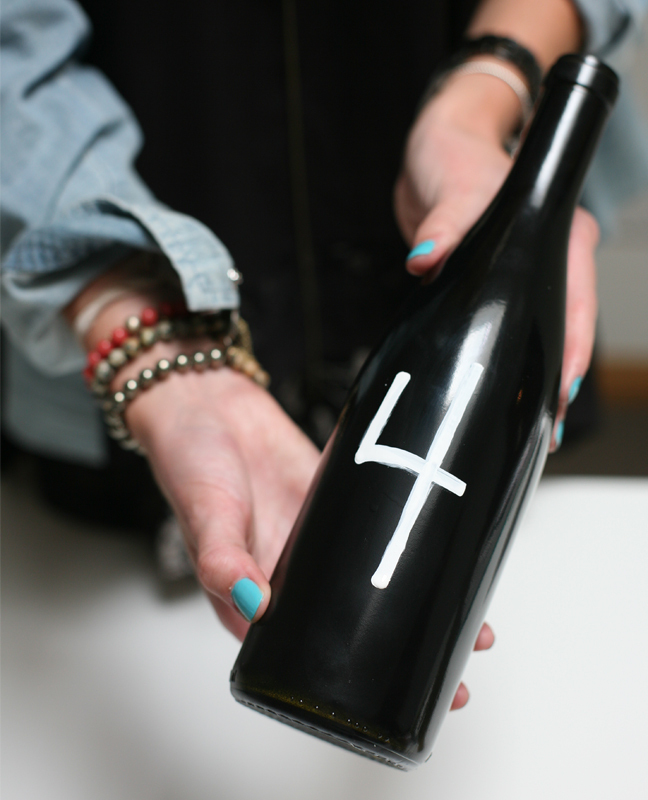 Step 3: Once the bottles are dry you can chalk a table number onto your chalkboard bottle. 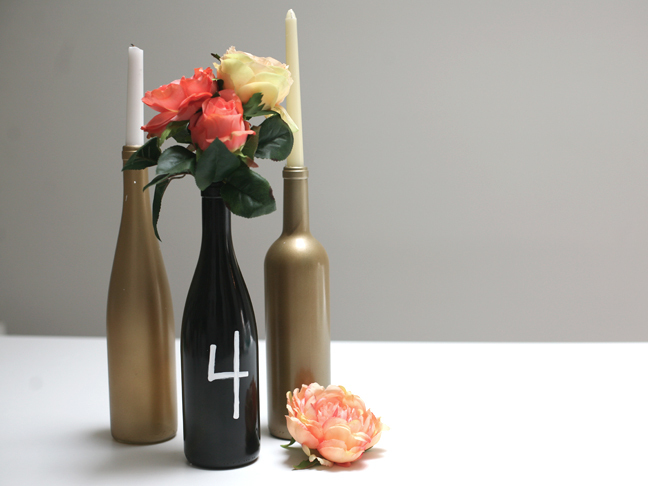 Step 4: Then you have two options: 1. fill your bottles with flowers or 2. fill them with candles. I love the dimension of the centerpiece when there are both different colored bottles and both flowers and candles. I mean, how romantic, right?? 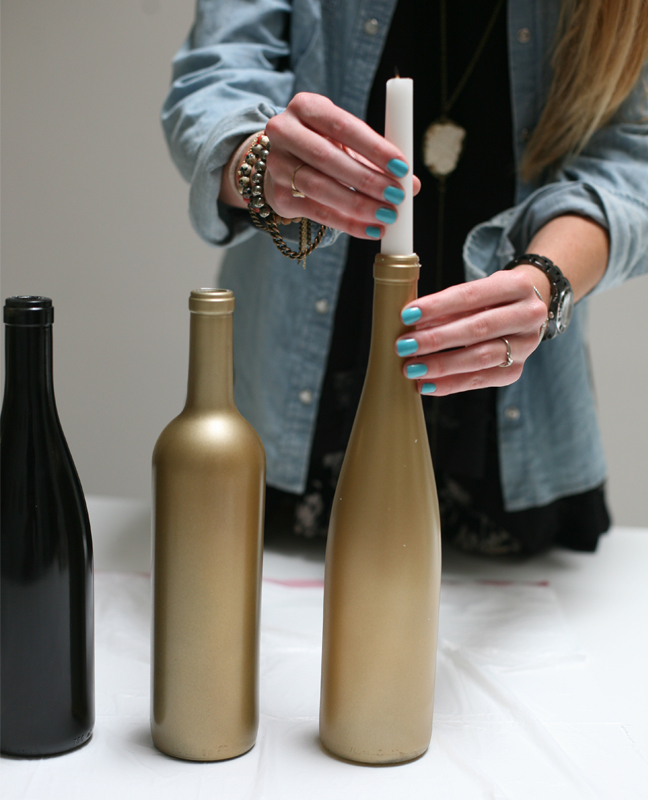 Let the candle wax drip down the sides of the bottles as your wedding or party guests stay late into the night!